Cut amla remove seeds then grind this with grated coconut, green chillies, jeera and salt into fine paste. Then add 2 to 3 cups of water and boil it for 5 to 10 min. Heat 1 tsp oil in a pan add crushed garlic fry till brown. Then pour this on boiling rasam. 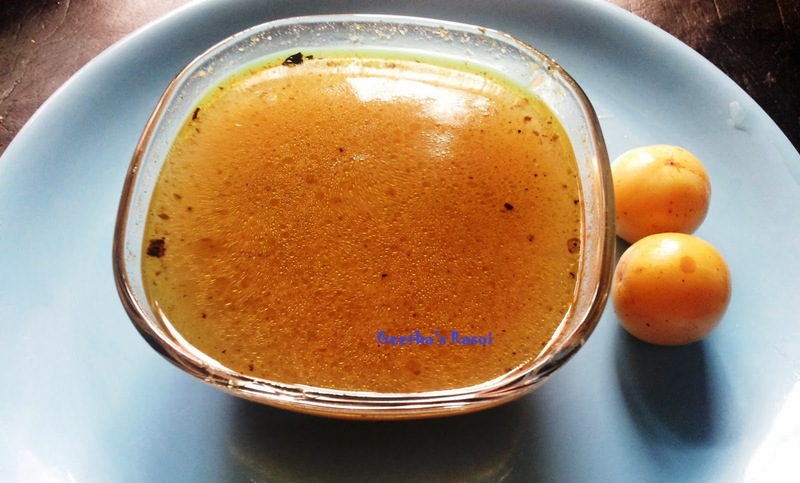 Tasty Amla rasam ready to serve.